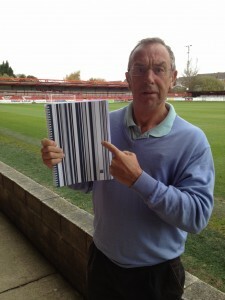 This week SDA met a local hero as part of our Accrington Stanley marketing campaign. 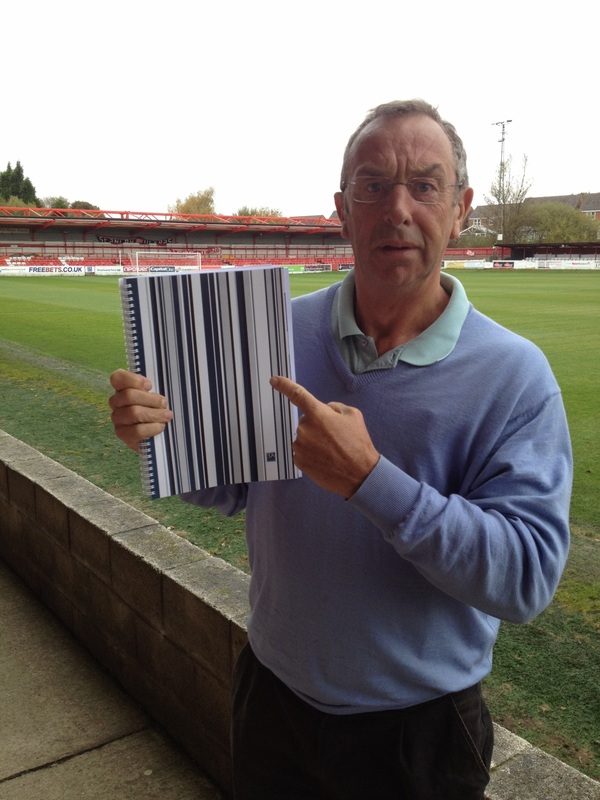 David “Bumble” Lloyd, Accrington-born ex-cricketer and Sky Sports pundit, is on the board at Accrington Stanley and met up with SDA’s Murray and Alison this week to discuss how he could lend his star power to our community campaign to encourage Accrington to get behind Stanley. He said: “It’s dead easy to follow Manchester United, Manchester City, Arsenal or whoever but this is our town, this is our club and we need our community, our schools, our youngsters to come along and watch us play. 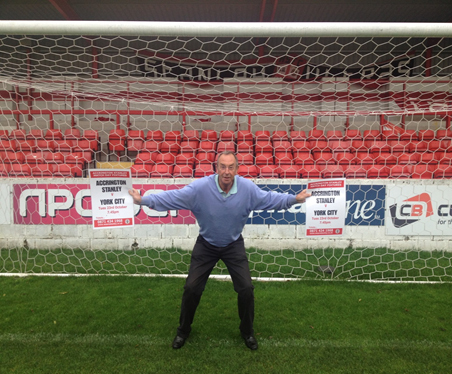 Bumble, who was in Accy to watch his team’s clash against York City – his wife’s favourite club – was a great sport and let us take a few snaps of him to give this week’s Stanley promo efforts an extra push. As a thank you we treated him to one of our famous SDA pads! It’s pies all round at SDA this week after we pipped thousands of football fans to the post to win a box of free pies at Accrington Stanley Football Club. Clayton Park Bakery, based in Clayton-le-Moors, Accrington, appealed to crowds to tweet a picture of themselves enjoying one of the company’s pies at Accrington Stanley home clash against former manager John Coleman’s Rochdale side. As the official supplier to the football club, the bakery sells hundreds of pies at every home match. Murray Dawson, managing director of SDA, tweeted what was later chosen as the winning picture – of a friend’s son tucking into a Clayton Park steak and kidney pie – from our company Twitter account @ScottDawsonAd. 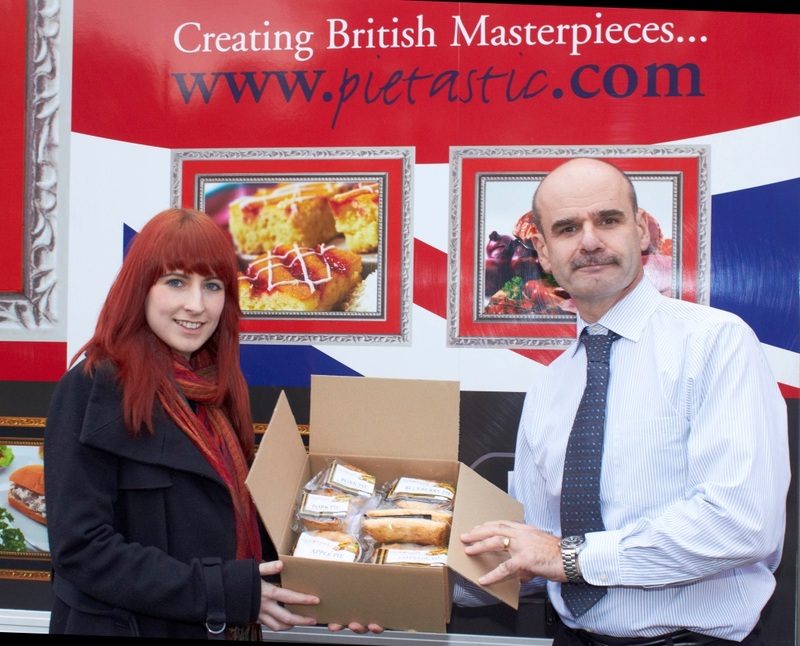 Steff Sulinski from Scott Dawson went to collect the pies from the bakery this week.